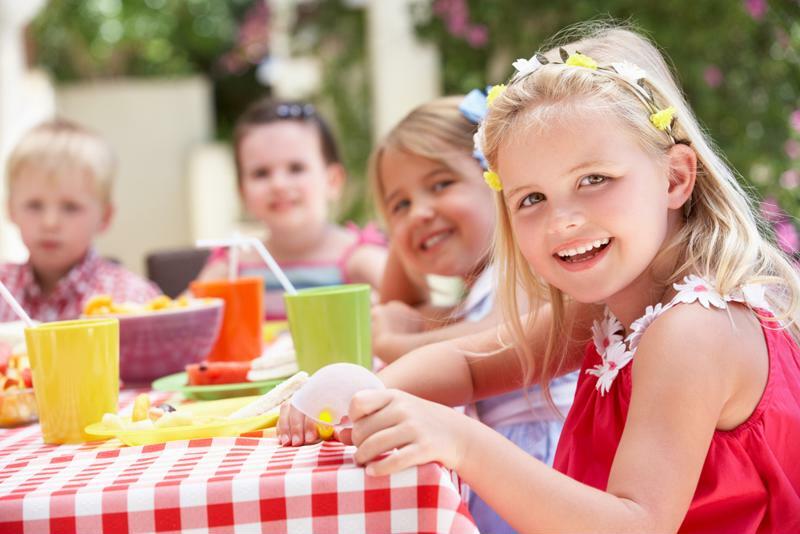 Does your child have a summer birthday? Lucky you! Your options of birthday party themes are unlimited. But with that being said, sometimes it feels like there are too many options to choose from! Well have no fear - this is your guide to the perfect kid-friendly summer birthday bash. Carnival/circus: Kids love to visit the carnival or state fair once the summer gets going, so why not bring the excitement to your backyard? Outer space: Celebrate in the evening so kids have a chance to go star gazing. Camping: If your kids love the chance to go camping then bring the campgrounds to them. Tea party: Do you have a girly-girl who loves to dress up? A tea party is a very classy way to celebrate a birthday for the little lady who loves to be dainty. Costume party: It's the middle of the summer so who will suspect a costume party? Kids will love another chance in the year to parade around in their costumes. Superhero: Everyone come stop crime dressed as their favorite superhero! Or have kids make up their own super persona and have them run around solving mysteries and putting bad guys in jail. Water party: Summer is all about getting wet and wild so this party theme will be an inevitable crowd pleaser. Gardening: If your kids like playing around in the dirt and smelling the roses then this is the perfect party idea for them. "A win for all parents!" Once you have the theme planned out you can get to the fun part - the decorating! Decorating can be tricky, after some quick research you can easily find some fun activities and decorations that are perfectly on-theme for the party. Carnival/circus: Deck out your backyard in all kinds of carnival games like ring toss, corn hole or even excite them with a dunking booth! Everyone will love taking turns making dad go for a dip. Outer space: Have your kids help you prepare for the party by crafting a paper mache solar system and stringing them up outside. Set up trampolines for a moon bounce and telescopes so the kids can check out the constellations. This is also a great educational party theme! Camping: Break out the camping gear and give your yard a rustic feel. Tents, camp chairs, fire pits and s'mores ingredients are all required! Tea party: Embellish your patio with lace, lanterns and lots of fluffy throw pillows for extra comfort. Costume party: You can get creative with these decorations since everyone will be in something different. Superhero: Turn your background into a mini city for scavenger hunts and villain-thwarting activities. 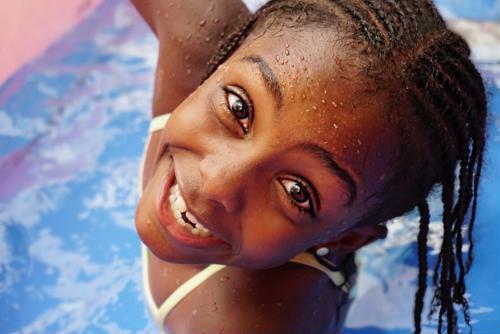 Water party: Slip and slides, sprinklers, water guns and pool toys will certainly make a splash this summer. If you have a pool of your own, fill it with inflatable or pool games like volleyball. Just be sure to have some extra adults on hand and enforce pool safety rules before the fun gets started. Gardening: Planting mini gardens or atriums is a great activity for the kids and a fun take home gift as well! 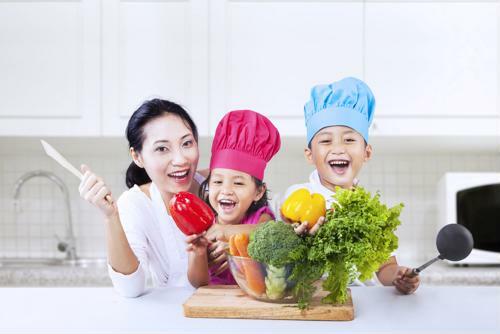 You can even show them how to make their own vegetable garden and promote healthy eating - a win for all parents! What kind of birthday bash does your child want this summer? Carnival/circus: Popcorns of all flavors, frozen yogurt, all natural juice snow cones. Outer space: Planet cake pops, a moon made of Swiss cheese and crackers, half moon apple slices. Camping: S'mores, ants on a log and hot dogs and hamburgers. Tea party: Cucumber finger sandwiches, macaroons, crumpets and jam and strawberry parfaits. Costume party: Decorate your own gingerbread men, fruit juice popsicles, and snacks designed to look like your kid's favorite book characters. Superhero: Strawberry Spiderman faces, super food trail mix and super juice made from low sugar fruit juice. Water party: Blue gelatin with Swedish fish, gold fish crackers and a watermelon carved into a sea turtle. 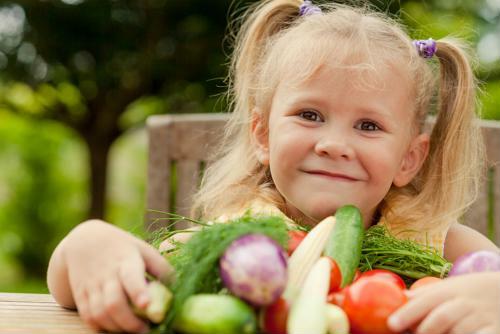 Gardening: Fruit salads and "dirt" cupcakes with gummy worms.